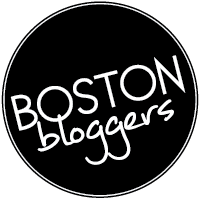 On a cool, breezy Saturday afternoon, I found myself rushing to get to the latest bloggers event I was attending at Del Frsico’s in the Seaport District of Boston. Although only minutes from my work, I forgot that the T ran the weekend schedule…on the weekend, so I found myself coming in late to the sit down lunch as a presentation of food was being entered into the private dining room. Luckily for me, I was able so sneak behind the presenter and found a seat right next to some very familiar- Danielle, also known as, an acquaintance from high school, (seriously, what are the chances of seeing someone you haven’t seen in almost 12 years since high school). 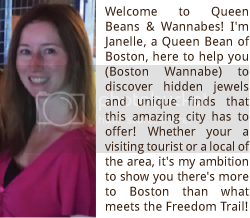 While catching up with Danielle from everything to ‘what ever happened to so & so’ to ‘really, you live in Quincy? I live in Quincy!,’ I was happily greeted with a taste of Del Frisco’s own brand of red wine along with sampling of Ahi Tuna Tartare, and Crab Cake. From there, it was an all-out feast of almost every type of food imaginable from the Tower of Onion Rings, to mini slider burgers, New York Strip Sirloin, Filet Minion, Crab Cakes, chicken, and ending in delicious (yet very filling), Lemon Cake. Towards the end of the luncheon, I was more than stuffed, (typical me, couldn't finish what was on my plate…but I had to keep sampling everything! ), I’m not sure how the buttons on my pants didn't pop off. Anywhere you sit at Del Frisco’s, you’re going to have an amazing view of Boston Harbor and an unbelievably delicious meal. The wait staff and bartenders are very classy and prompt on orders and service. Prices are a bit high, so this is definitely a recommended place for a date night or special occasion…or if you’re like me, drag the BF out on a Saturday night because you have a huge craving for decadent Lemon Cake again! Whatever the reason, I guarantee you’ll enjoy a delightful meal at Del Frisco’s! It was so great to see you and I agree that it was a "small world" moment. Let me know if you ever need a ride or a T buddy for a future blogger event. I seriously didn't eat dinner after that meal, or breakfast the next morning. I was stuffed!